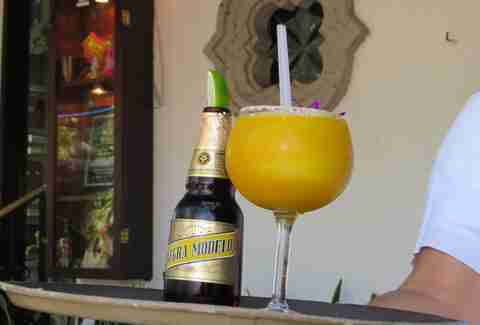 There are a number of San Antonio tropes that locals subscribe to: The Alamo is a pillar of Texas history, the Spurs have won five NBA championships since their inception in '73, and margaritas are a day-drinking necessity. About margaritas, we take them pretty seriously; they should not look like a Slurpee, a mix is never acceptable, and a beer bottle should never be turned upside down inside of one. 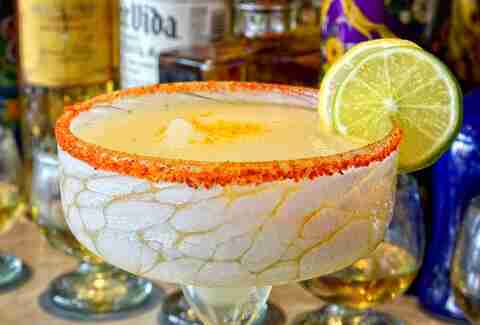 Here’s where to find the nine best margaritas in San Antonio. If you haven’t had a seat on the patio and toyed with a flower floating inside your margarita at La Fogata then you’ve been living a lie. This place serves them with pride and variety: on the rocks, with salt, with sangria, flavored, with fruit, or frozen. And it doesn’t play around with portion size either, instead of the traditional 12oz serving each margarita comes in a 16oz glass. 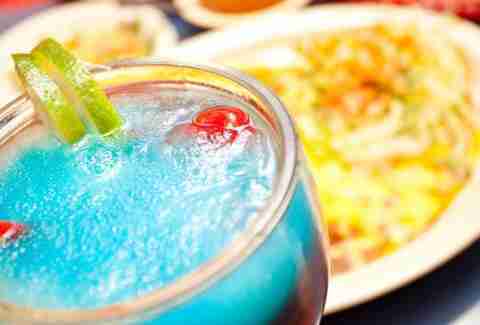 Ocho’s lounge is where you need to be when summer unleashes its unforgiving fury upon us. 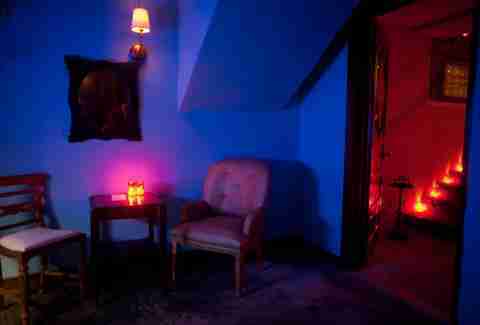 By August, you ought to be sitting on one of the bar’s leather chairs and never leaving. This place is so dark and cold you forget the world outside feels like a convection oven set to 450 degrees. 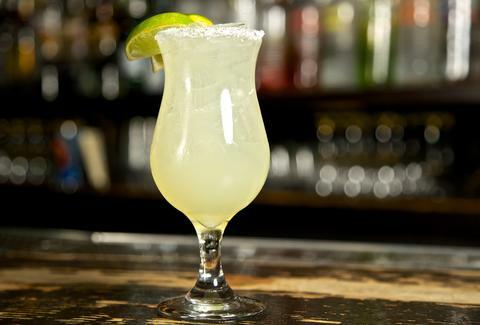 Made with Cazadores Blanco, orange liqueur, lime, and agave, Ocho’s Havana margarita makes it easy for you to stay put. Top Chef contestant Johnny Hernandez and his staff know what they’re doing. 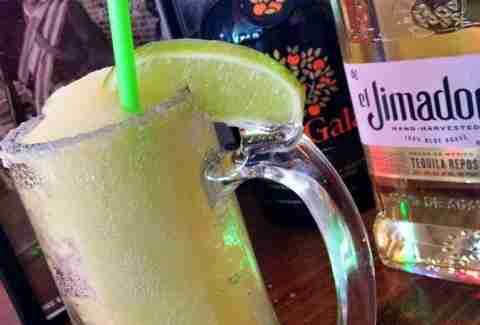 Their margarita comes frozen or on the rocks with lime juice, pineapple juice, orange juice, Cointreau, and El Jimador tequila. If you’re feeling frisky you might try infusing yours with one of the restaurant’s six options: mango melon, las fresas, Zapatista, 6 chiles tequila, piña mezcal, or los pepinos. If you’re confused, don’t be. Let the bartender make the decision for you -- they’re good at it, too. Listen carefully: don’t let the margarita machine or the amount of people crammed inside Chacho’s intimidate you. Once you make it to the front of the bar, disregard the frozen Jack and Coke machine and order what your heart really desires. Just be careful. They may be frozen, but they’re strong and made with quality tequila. You usually drink margaritas for personal pleasure but at the Esquire your hard-earned dollars go towards benefiting others too. 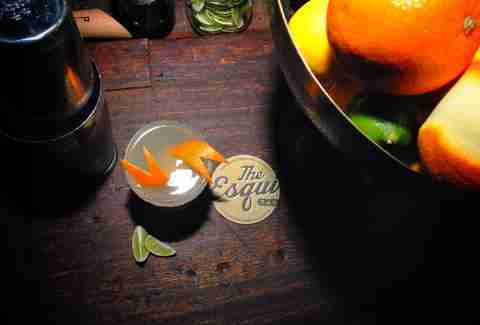 For every Nuestra margarita sold, Esquire gives $1 to the Tequila Interchange Project -- a nonprofit focused on sustainable practices in the tequila industry. It’s also mouthwateringly good. Using blanco and reposado tequilas, triple sec, Key lime, and a rim of kosher salt, Esquire is like the rest of SA -- it doesn’t mess around with its margaritas. 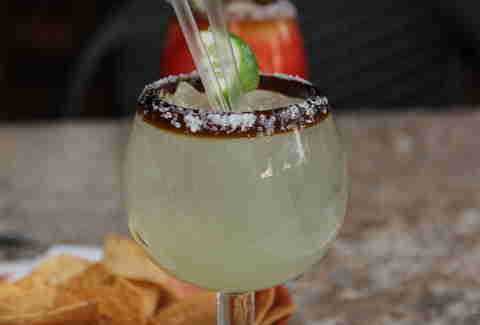 Sit on the patio, order the Margarita Premium and pretend for a fleeting moment that you’re Alamo Heights royalty. The Patron Citronge they add is a nice alternative to Cointreau and adds an extra sour kick. No one will believe you’re really from Alamo Heights but Paloma Blanca will reward your taste buds and brain cells with an almost perfect drink. 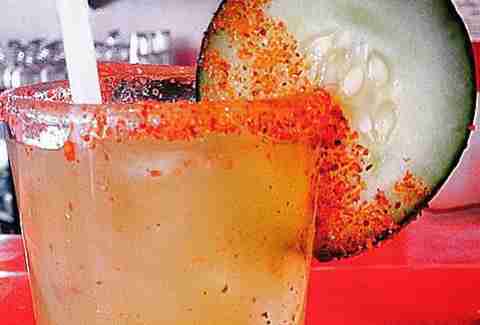 Pica Pica aka "cucumber jalapeño margarita"
This is where everyone takes their mom when they visit. So next time she’s here, impress her with how refined you’ve become and order two top-shelf margaritas. With Cointreau and fresh lime, Rosario’s classic recipe provides the perfect balance of sweet, tangy, and tequila. 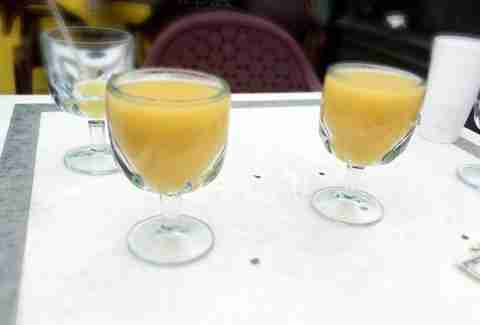 The Original Oro is made with Gran Gala and lime juice instead of Cointreau which gives the drink a citrusy bite. Jacala also gives you the option to order a glass or a pitcher, which is cute. Definitely order the pitcher because it’s mentally and physically impossible to only have one Original Oro. For $30, the price isn’t too bad either. They have a Chamoy margarita served in a pint glass and a spicy jlapeño margarita with chunks of pepper floating inside of it! When you come here, make sure to order a round or two of nachos because they’re the perfect complement to the number of margaritas you will inevitably consume. And by consume we mean annihilate. And by annihilate we mean always drink responsibly.